Whether your event is for team building, client or colleague entertainment or a celebration event, we can offer you a tailor made, fun filled day. We offer four different experiences, for corporate or group events. We have worked in partnership with our experienced and qualified instructors to provide fun and safety conscious sessions in each category. Providing a single session or organising an itinerary to include one or more experience, we can certainly help with your event. We can include meals, snacks and refreshments to your exact requirements throughout your day, and our resident chef can discuss this in detail if required. We offer standard menus for BBQ’s and buffets, but these can be amended to meet your needs. (We are also able to serve alcohol at your event, but for obvious reasons, this shall only be available at the end of your activities if required). We have given an overview of our “experiences” below, and are happy to discuss your requirements and to offer help in organising your event if required. Please contact us here. 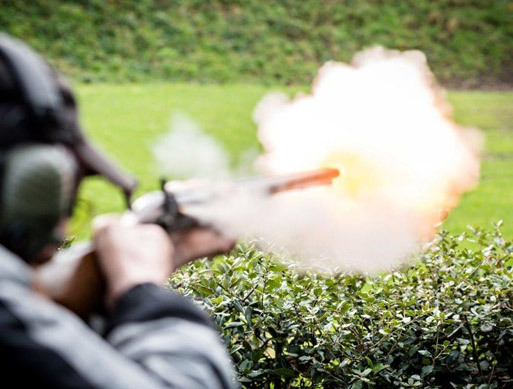 Step back into Victorian times to the heyday of shooting. 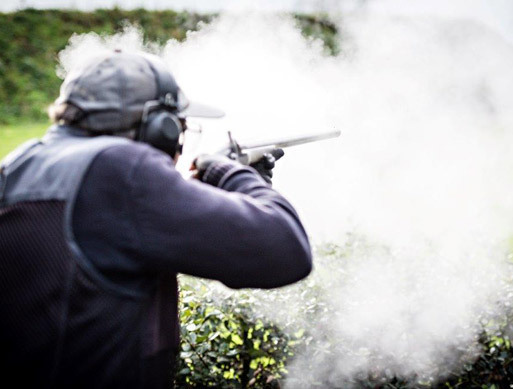 Your chance to shoot clays with muzzle loading black powder shotguns, under the expert guidance of our own muzzle loading club. Guaranteed to make a big bang, lots of smoke and put a big smile on your face! Suitable for all ages, beginners and experts alike. 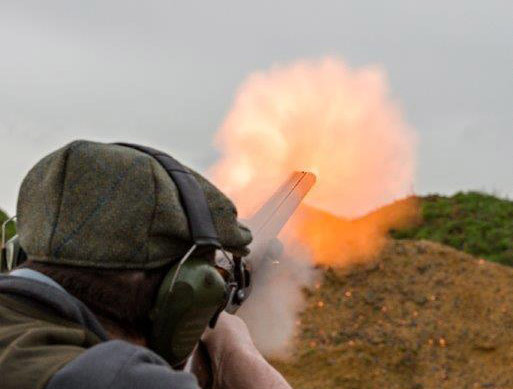 Our clay shooting sessions offer the chance to shoot moving clay targets with a shotgun. 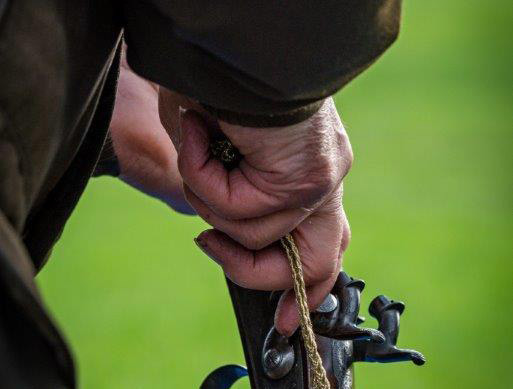 Our experienced and professional instructors will ensure you have a safe but exciting time, and are with you for the duration of your session giving instruction throughout. 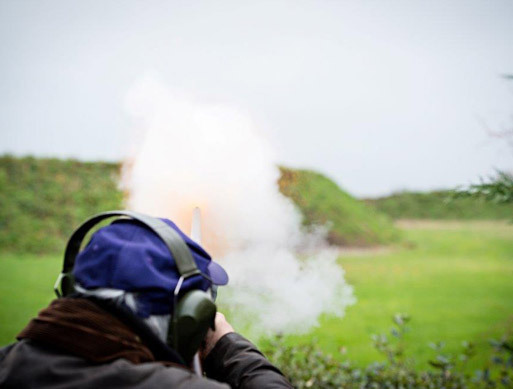 Our instructors are CPSA qualified (CPSA – Clay Pigeon Shooting Association). 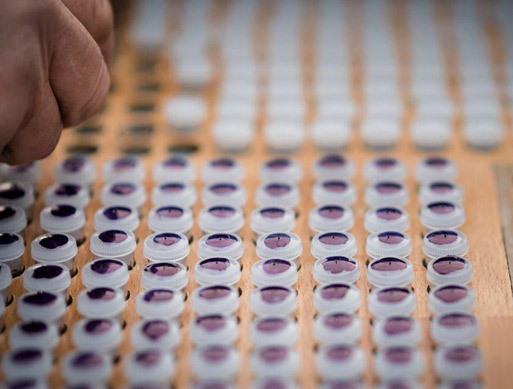 This activity is suitable for people aged 10 years and above. Yes, Robin Hood does spring to mind !! Our qualified archery instructor will provide instruction throughout the session, offering professional tuition on the art of the bow and arrow. Correct technique, safety and fun will be part of the session, along with of course a little bit of competition. Suitable for all ages and abilities and is suitable for complete beginners. 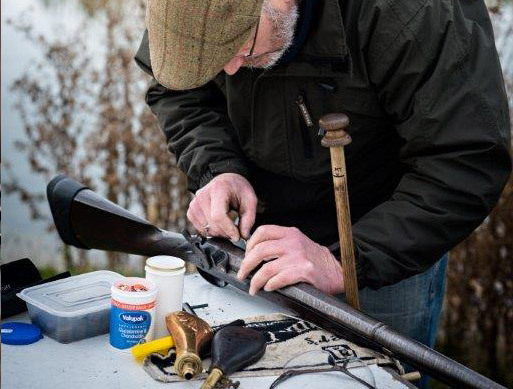 A selection of air rifles and air pistols will be provided for the air rifle experience. 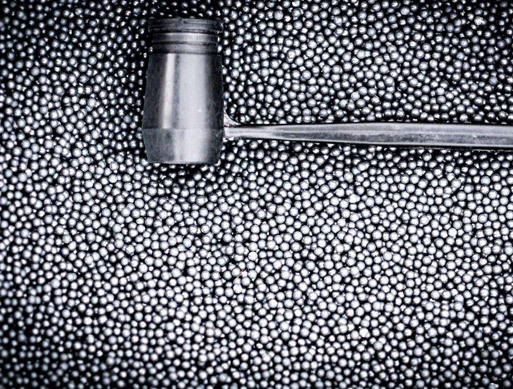 We offer “sharp shooter” which is a knock down target competition and great fun, although it can be quiet competitive. Paper targets are also available on the air rifle range which again normally leads to a competition!! Suitable for all ages and abilities and is suitable for complete beginners.